As we noted in our last post, Bob and I decided to highlight intensely passionate folks known to us in Costa Rica. It is the passion that drives their dedication to living the best life possible by turning dreams into reality. Those who are familiar with our life in Costa Rica know we have a treasured friendship with Nathanael Yoder, his wife Carmen, and their four children. Their place in our hearts is akin to that of family. Led by Nat, the Yoder's overriding passions are for God, family, and community. Nat and Carmen are motivated by love of community and building a legacy for their children. As the head of his family, Nat is a man who listens to God as he makes decisions that direct and impact the family, as well as the community. This young man has not yet reached his mid-40's and we marvel at his many endeavors and guiding principles. Born in Tennessee, when he was 5 his parents moved the family to Costa Rica as self-supporting Mennonite missionaries. Costa Rica was home for approximately 6 years and Nat's life was that of a farm boy milking cows and engaging in youthful hijinks. 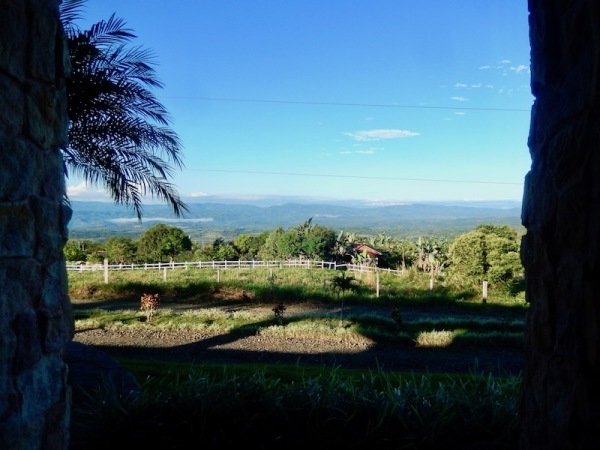 In San Vito, Costa Rica, Nat's father produced cheese and sour cream called Natilla on their dairy farm. The first of the Mennonites in Costa Rica to implement this production activity. Even today, the Mennonites of Costa Rica are renown for their cheese and Natilla. Nat also had the opportunity to hone his marketing skills at this young age selling Mennonite baked goods on the streets of San Vito. Approximately 6 years later, the family returned to Tennessee. There, Nat learned carpentry. It was after 7th grade that Nat's formal education ended so that he could earn money full-time to help sustain the family. 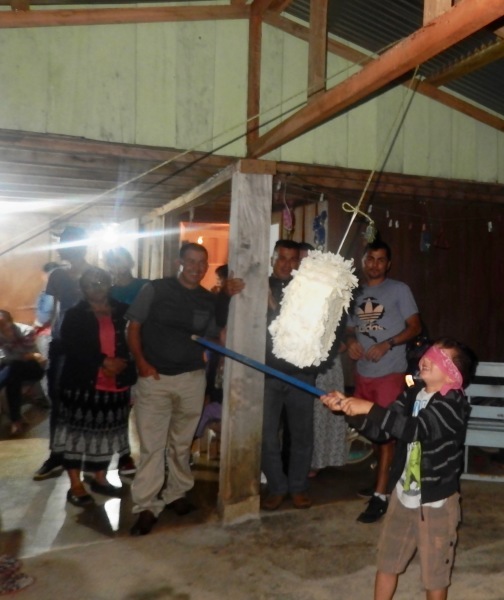 The family eventually returned to Costa Rica where Nat's father was ordained a Mennonite Minister and moved the family to Santiago, Costa Rica. 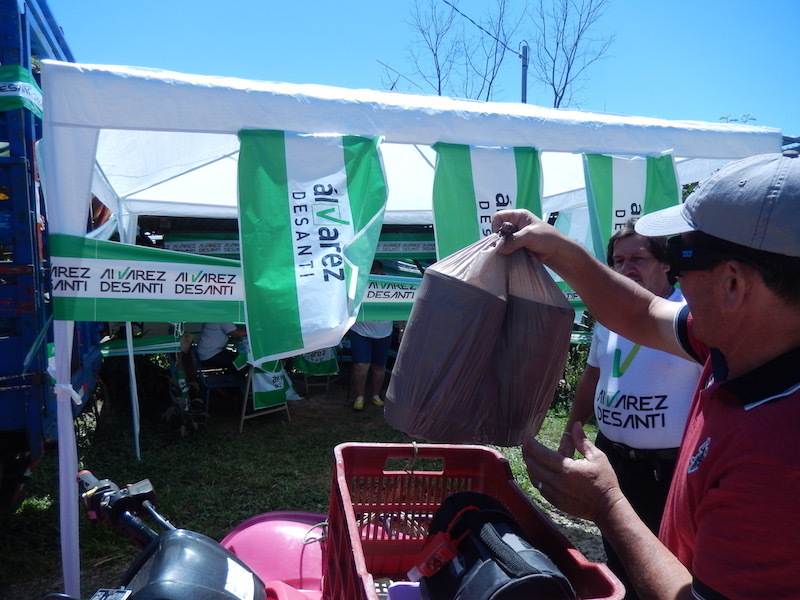 They also continued dairy farming and selling baked goods at the open market in San Isidro. Eventually Nat fell in love with a gal in San Vito. Whenever Nat could find the time, he traveled from Santiago to San Vito to court the love of his life. 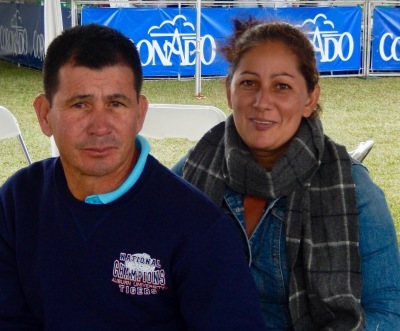 During this period Nat saved money and purchased several acres of land near his father's farm in Santiago. At 22, Nathanael married his sweetheart Carmen and they moved to their home in Santiago. 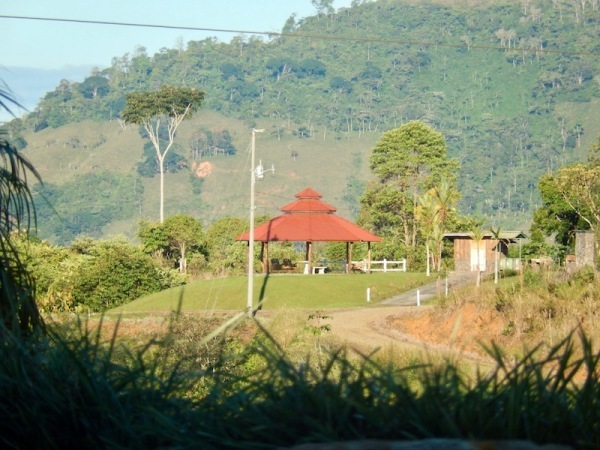 Nat and Carmen abandoned the dairy farm business and instead planted coffee in land surrounding their small home. Nat and Carmen tried to make a go of it in Costa Rica with the coffee. However, after two years of marriage and the addition of their first child, Nat and Carmen were struggling financially. Seeking God's counsel, they determined a move to Tennessee would be wise. In 1998, they relocated to Sparta TN with their 3 month old daughter Paula. Nat worked in construction with his uncle and then started his own business building decks. 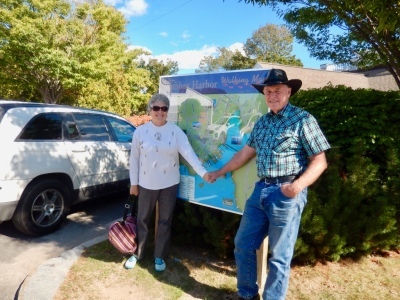 By 2003 the building industry was booming and Nat and Carmen purchased several acres and developed FAWN FOREST upon which 43 homes were built. Three streets of Fawn Forest are named after Paula, Laura (Loli) and Joshua, their children who were with them during those years in Tennessee. The Yoder family was young and growing, industrious, successful enjoying a happy life in Tennessee. 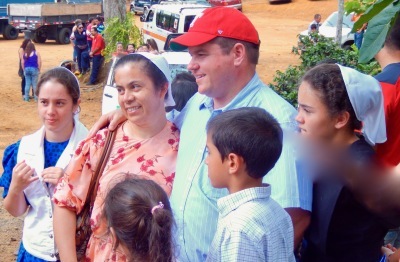 However, Nat and Carmen felt an urging by God that they should return to Costa Rica. God had a purpose for them in that country. 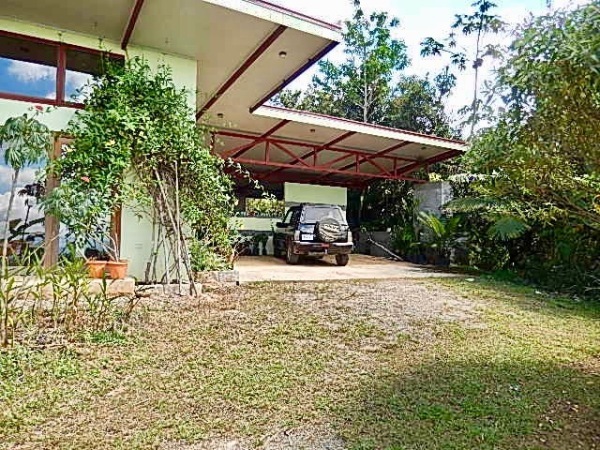 So they sold their house and their business and in 2006, loaded a small truck with their remaining belongings, and drove back to Costa Rica. Not long after returning to Costa Rica, the Yoder family welcomed their 4th child Lydia. 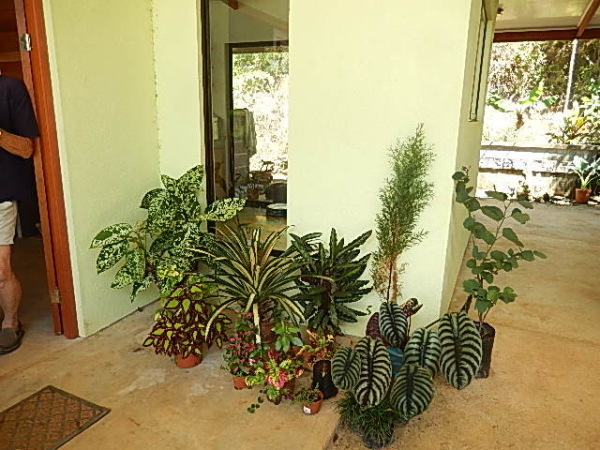 The family of six settled into their life in Santiago, Costa Rica, in the Valle de General in the Talamanca Mountain Region. They continued to live intensely dedicated to God, family, and community. You might want to take a short break. Pour yourself a cup of Costa Rican Specialty Coffee (Church Grounds or Rockford's Band Boosters Performance Perks) and then continue reading about our dear friends. It is a roller-coaster ride! Enjoy three photos taken a few years ago when we attended a coffee fair with the Yoders and Bel and Xinia in Frailes, Desamparados, Costa Rica. It was such a fun day. The one photo is with a retired famous soccer player that Nat and his son Josh were so excited to meet. The soccer player and other Costa Rican celebrities competed to see who could pick the most coffee plant cherries in a certain amount of time. Who won? I think a clown won the challenge! It's a funny business. The drive to Frailes is spectacular and it was a great day. Our acquaintance with Nat Yoder and his family will be etched in our memories as a gift from God. Indeed, it was this friendship that led us to start-up Church Grounds Coffee. Let us tell you more about their inspiring story. 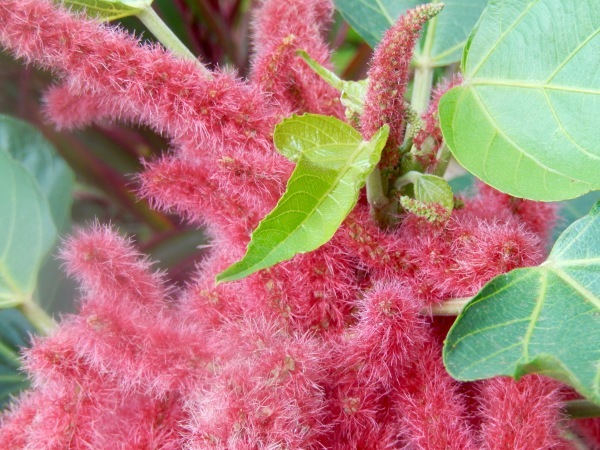 ~ Grow up in a third world country, where we would understand first hand the limited possibilities locals have in being able to market their product and how threatening the erratic market price is for a grower. ~ Be born to mission minded parents, whose Christian example would teach us early on the importance of caring for others and instill in us a compassion for less fortunate persons and their needs. ~ Early in life, have a global world view and a vision of “Business for God's Kingdom.” This includes a godly passion for creating sustainable (Golden Rule) business practices at every level. ~ Span the gap, by providing a “transparent bridge” between growers and business owners. It cannot be denied that is an impressive and inspiring code of business conduct. 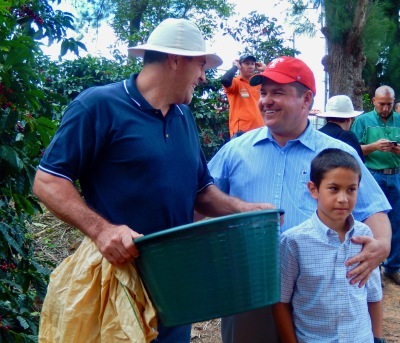 Back in Costa Rica, coffee kept Nat busy, but he was inspired to expand endeavors to boost Santiago's economy. That resulted in a new venture that included the JavaTaza partners. Nat set about promoting a housing development in Santiago. 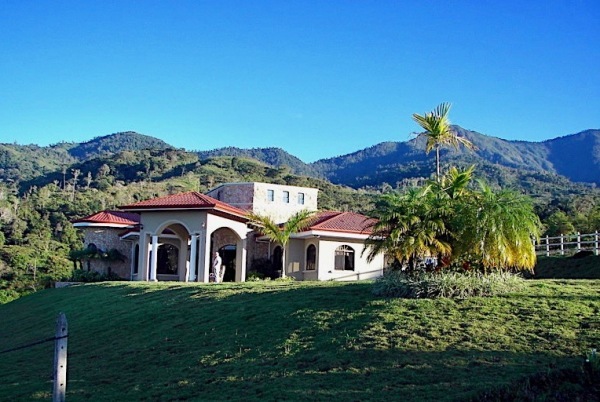 He prepared plots and infrastructure on several acres and called it Santiago Springs. 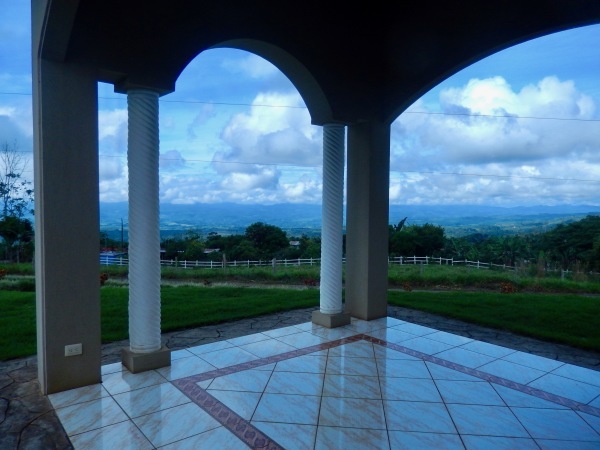 He and his lifelong buddies envisioned this location dotted with homes and thereby building the Santiago community. 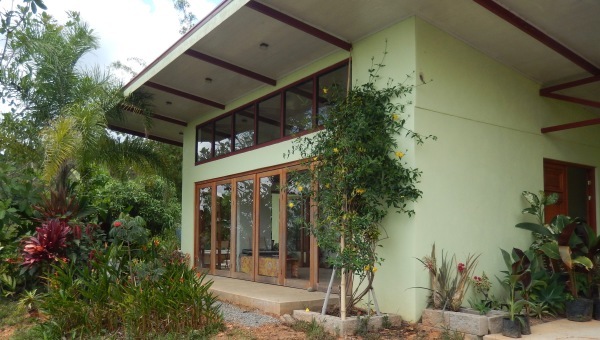 A model home was constructed (which happens to be the home we rent in Costa Rica) and lots were sold. Unfortunately, a bad economy prevented the growth of the development as envisioned by Nat and partners. We return each year hoping to see new homes constructed on the various lots and overtime we suspect such will be the case. 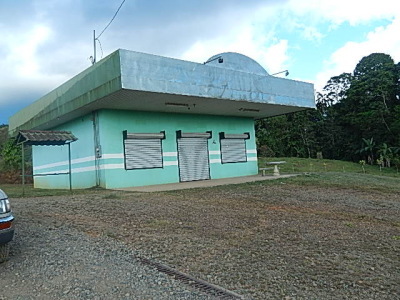 Meanwhile, the Costa Rican government decided to open a limited opportunity for private enterprises to become involved in powering Costa Rica. Heretofore, the government had complete control. Once again, Nat saw this as a unique opportunity to build up the community of Santiago. He jumped wholeheartedly in developing and presenting to the government a hydro-electric plan. His vision was large in scope and once completed would be a real boon for the local area. Unfortunately, it gets rather tricky because Costa Rica has a corner on the market for creating hoops to jump through in order to reach success. In a nutshell, it is not easy for an entrepreneur in this country. Red tape and Costa Rican bureaucratic tortoise speed is a truly discouraging component. However, Nat was undaunted and over several years he pursued this dream for the community. Just as they were almost there to realization, the bottom fell out with the election of a new president. This new government administration was not favorable to the hydro-electric opportunity for private enterprises. Nat's dream came to an abrupt halt. Here is a good spot to inject a bit more context to the Yoder's story. The essence of which is that the Yoder family never stops humming with activity all for the honor and glory to God. 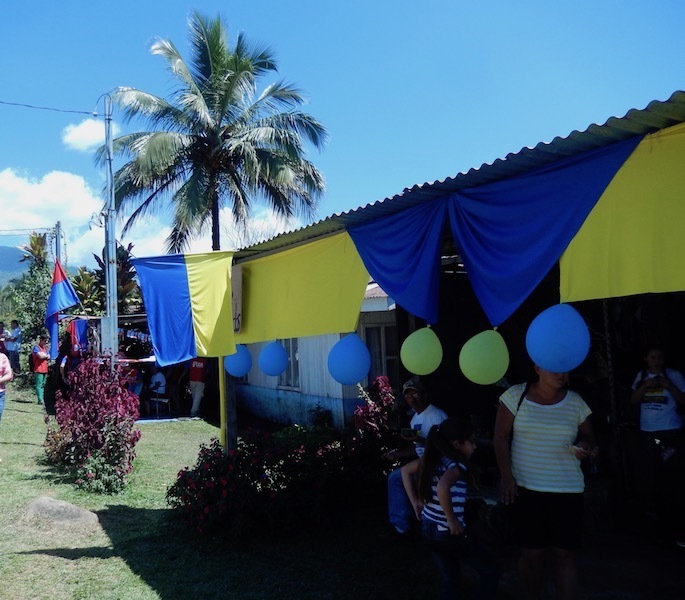 After returning to Costa Rica, for a short period of time, Carmen operated a small grocery store, The Super Santiago, in the community. Her sister Milena helped and we shopped regularly at the Super Santiago. Eventually, the store was discontinued and morphed into the Mennonite bakery which is operated by Nat's sister Gloria and her husband Isaac. Today the bakery continues to grow and improve providing a variety of delectable treats. Also, Nat was selected to be a minister in their local church. Listening to Nat deliver scripture and a message is moving. Though we have limited Spanish, when we are present, the church speakers usually provide a good overview for us in English. Shortly before the hydro-electric disappointment, Nat continued working with his partners in the USA. He traveled extensively. 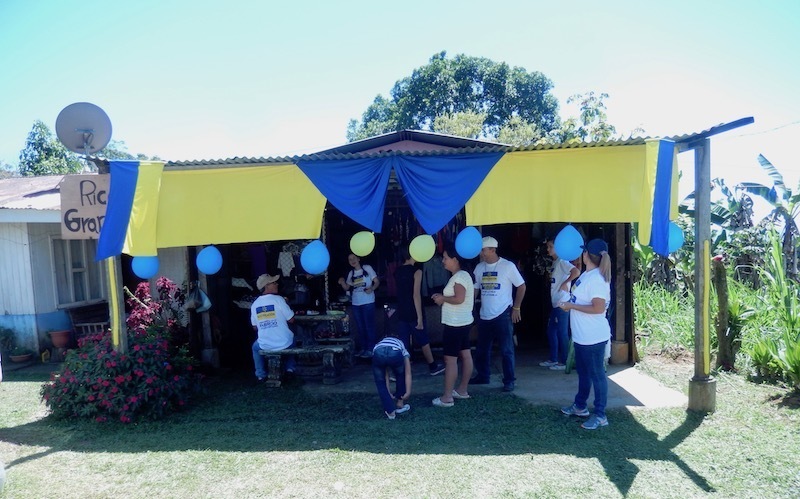 During one such period, we were able to host Nat, Carmen, and the children at our home for several days. They were concluding an extended stay in Texas working with JavaTaza. It was a necessary financial decision for Nat to relocate the family for 6 months to Texas. In fact, we also visited them at their residence in Texas. As a result of our friendship with Nat, we had embarked on our Church Grounds Coffee enterprise and it was great for us to tour JavaTaza, observe that part of the business, and spend time with our dear friends. 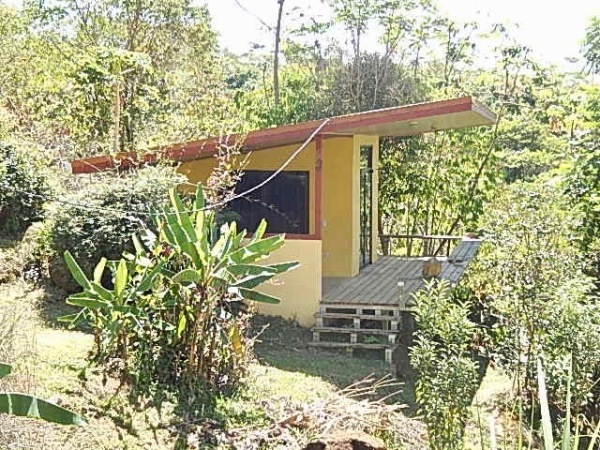 Returning to Costa Rica from Texas, the Yoder family realized that the Hydro-electric plan was not to be a reality. This brought Nat to a cross-road. We witnessed first-hand Nat's immense discouragement. Though he maintained a positive posture, we sensed his anguish. After pouring hundreds of thousands of dollars in pursuing this venture, it was never to become a reality. 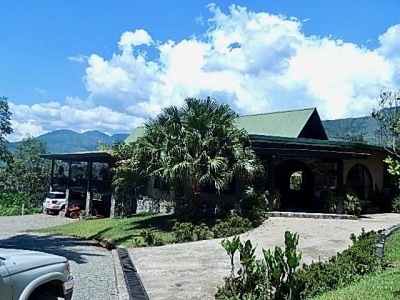 Long story short, another successful Costa Rican businessman bought Nat's rights with the hopes of eventually securing the authority to develop a hydro-electric opportunity. 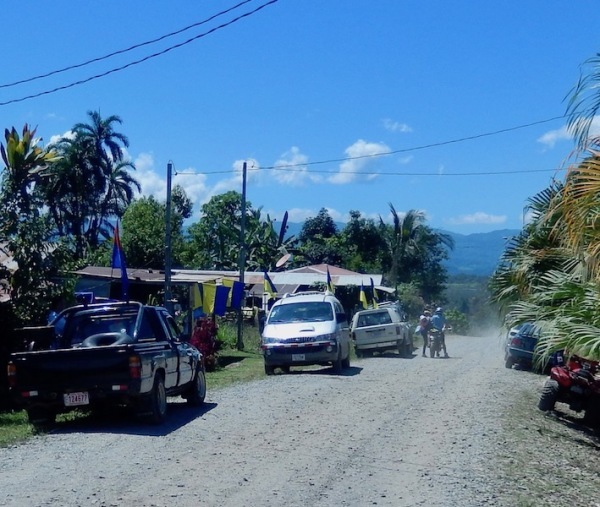 To date, it remains stalled which is a great loss for the people of Costa Rica. Nat had to make a decision for the welfare of his family. At the start of a new year, Nat climbed a mountain where he spent several days fasting and praying for guidance. Should they stay in Costa Rica or was he meant to relocate the family to the United States for a new life. Where did God want them? 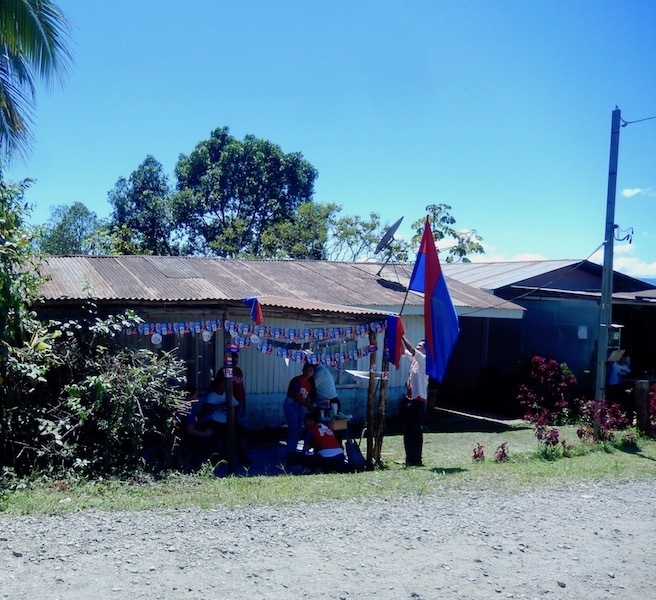 Nat had spent years devoted to the community in Costa Rica. He desired great and wonderful opportunities for his family, friends and neighbors. He fought through mounds of red tape and disappointments. What did God desire for them? Where should they live their life to honor the Almighty? Nat left the mountain feeling in his heart and mind that they should remain in Costa Rica and that an opportunity would be presented. It would be one that would not require intense monetary investment. Shortly thereafter, Nat had a scheduled trip to a location north of San Jose called San Carlos. He had two commitments, one on a Thursday evening and the next later in the day on Friday. That left Nat with substantial time between the two obligations. He was intent on securing ideas for generating income for his family and community. He knew of a gentleman in the area who had a chicken hatchery, raising chemically free meat – no preservatives. Nat thought perhaps he could learn something about raising this type of chicken in Santiago. It is hard to deny that Nat's visit was guided by Divine Providence. 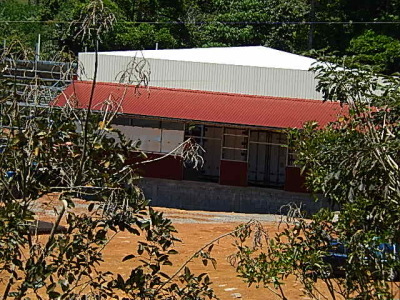 Before Nat's arrival to tour the hatchery, earlier that day the owner was in negotiations with another businessman to expand sales to the southern zone. This healthy, delicious poultry meat was highly desirable and a sure commodity for expansion. Enter Nathanael, expressing interest in the hatchery, etc. Nat explained his motivation and the owner realizes this impressive gentleman Nathanael Yoder may be the key to a successful expansion. He explains to Nat his desire to make his poultry meat available in the southern portions of Costa Rica. They discussed the potential of such a business enterprise for Nat and the community of Santiago. That was the moment. That was the moment that God promised to Nat. 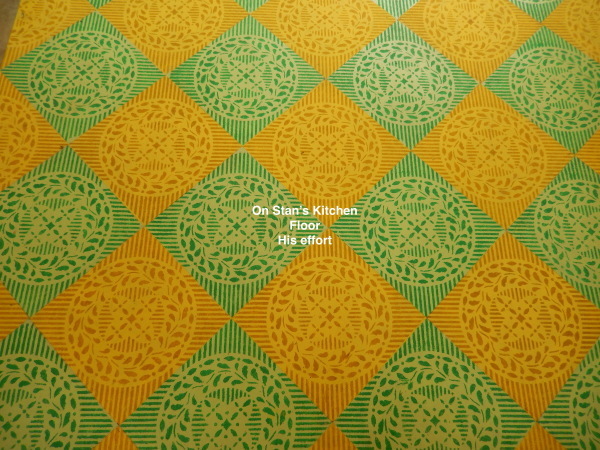 Nat felt a sense of great encouragement with intention to pursue. To follow were several months of investigating the potential. 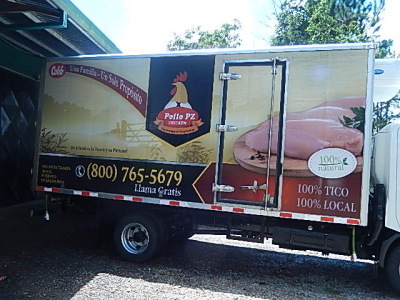 The results were positive and soon Nat developed “POLLO P.Z.” concentrating sales in the southern zone of Costa Rica. He purchased a refrigerator truck whose driver would make trips to San Jose (a good three-four hours from Santiago) to a warehouse where the minimally processed poultry meat was picked up. 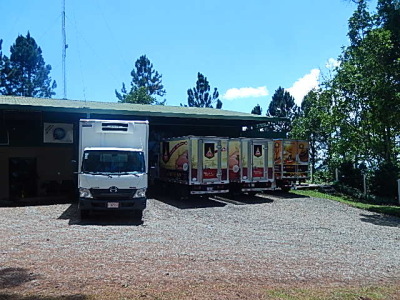 The chicken meat was delivered to a location near Nat for further processing by Nat's crew. Nat and his very small start-up staff set about establishing customers and making deliveries throughout the southern zone of Costa Rica. Nat is a natural at sales and a natural at motivating others. The growth of the business exceeded all expectations. It wasn't smooth sailing. 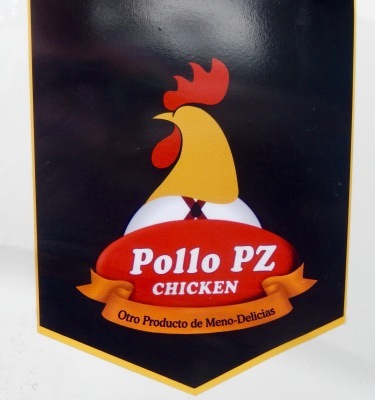 POLLO P.Z. encountered numerous bumps in the road that could discourage most anyone else. There was a serious accident which disabled the refrigerator truck for months (by the grace of God, no one was seriously injured); a tropical storm which created road transport havoc throughout Costa Rica, and an unpleasant situation requiring Nat to move his processing of POLLO P.Z. 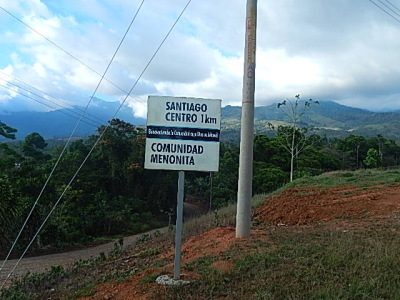 a great distance from Santiago. Nat relocated his workers to the new location in the vicinity of the hatchery. Nat was determined to ensure that the business continued to be participated in by the local Santiago community. He set about securing temporary lodging for them in the new preparation location. A situation which resulted in the workers only able to return to Santiago once or twice a month for a visit home. These set-backs and others occurred all while Nat diligently pursued the necessary permits (not an easy undertaking in Costa Rica). He was intent to have a poultry processing plant located in the Santiago community. Meanwhile, business continued to grow, more trucks joined the expanding fleet, and finally construction on POLLO P.Z. 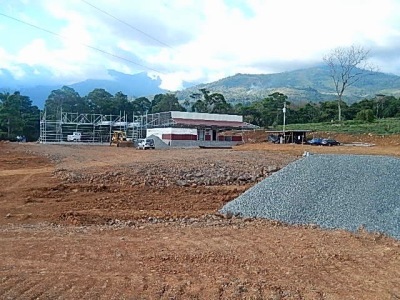 processing plant began the first week of January, 2018. 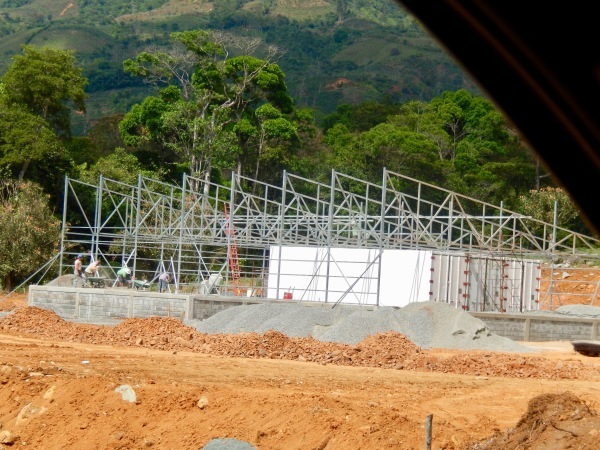 We expect it will be nearly complete at the conclusion of our time in Costa Rica March 28. Despite Nat's lack of formal education, he is a smart young man. He is extremely well-read and possesses a natural gift for marketing. He is knowledgeable in current affairs, he is tenacious, and honest. He is a motivator and enters all undertakings with passion; and, in every venture, he praises the Lord. Nat is a very humble man and low-key and certainly never one to boast. However, Bob and I see the Yoder story as inspirational deserving to be told. Nat Yoder, his wife Carmen, their children Paula, Loli, Josh, and Lydia are a remarkable family. Their family values and ideals are a blueprint for success no matter what may be placed in their path. Nat and Carmen are raising their children to live with purpose devoted to Christian principles. It is hard for us to express the joy we feel for Nat, Carmen, and their children and the growth of POLLO P.Z. Our feelings extend to the Santiago community so affected by the POLLO P.Z. success. This includes our very good friends Bel and Xinia, whom we met our first year renting from Nat. Bel was the caretaker of the rental property along with other development duties. Bel and Nat have been close compadres for many years; and today, Bel and Xinia work for POLLO P.Z. The Yoders are hard-working, joyful, generous folks, loaded with rock-solid faith, passion, and perseverance. 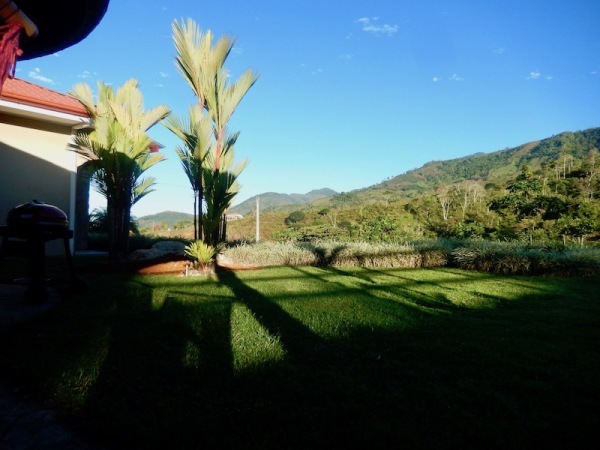 Bob and I depart our little slice of Costa Rica paradise each year refreshed and lifted because of our friends in Santiago. We leave with tears in our eyes when it is time for us to head back to the USA. Nat, Carmen, and the children are like family to us. We rather say “see you next year” as we head out relishing the coming of the next new year when we will again return to Santiago and our special friends. Unfortunately, my camera is not working properly this year. We do have a few current photos to share which should help illustrate this story. 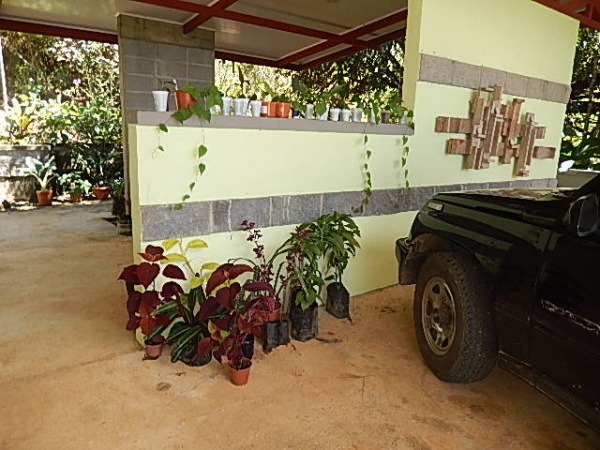 One of Nat and Carmen's home, the little green and white bakery, the plant in construction,and the fleet. As you view, imagine a year from now a humming processing plant, fenced with lovely landscaped grounds. That's Nat's vision and we will report on it next year! What pops into your mind when you consider “Passion?” Remove the romantic notion and now think about “Passion.” Passion for something concerns more than just a passing knowledge base for a particular interest; it entails embarking on a lifetime enhancement of this passion within ourselves. Doubtless, we all have at least one interest for which we have keen curiosity and can claim it as a passion. A dictionary definition of passion is "a strong feeling of enthusiasm or excitement for something or about doing something." You may be passionate about helping others; passionate about your career; passionate about a singular talent or skill, or _____________________(fill in the blank). With that in mind, we thought we would share our encounters with folks who demonstrate impressive passion in our Costa Rican haven. The kind of enthusiasm that marks someone as an impressive and memorable individual of great interest. We are friendly with someone who winters in Cost Rica and has a “passion” for cats. More specifically, this person engineered the breeding of a pure chocolate brown cat. At one point this individual had in and outside of his Ohio home some 40 cats. He does not have so many these days, and, of course, he properly cares for these felines regardless of their numbers. Before he leaves for his annual retreat in Costa Rica, our friend jumps through hoops to ensure his sleek friends are left with capable care. He has presented his beautiful chocolate browns in a few local shows and continues this endeavor. It is a passion of his. 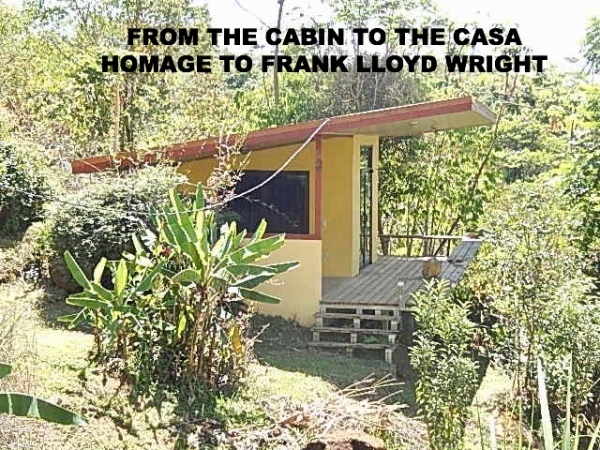 We met someone in Costa Rica who has a “passion” for the famed architect Frank Lloyd Wright (1867-1959). Frank Lloyd Wright designed 1000 structures of which 400 were actually constructed. Our friend has spent years researching and admiring Frank Lloyd Wright's design concepts. He visited several Wright structures and I personally toured one with this friend in Grand Rapids MI. Touring with this enthusiastic Wright devotee added a terrific dimension to the experience. 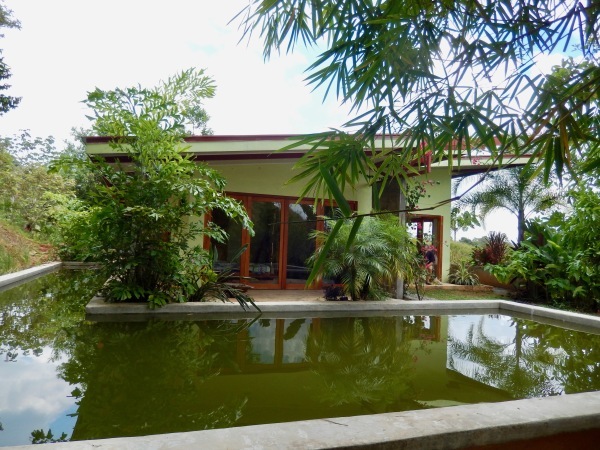 Wright's design philosophy of organic architecture focusing on harmony in nature, human, and habitat inspired this gentleman when designing his winter residence in Costa Rica. We enjoy the company of a gentleman in Costa Rica who is a pianist. This lover of the ivory keys has played for many years and enjoys the classical masters, Mozart, Bach, Beethoven, etc. On one of his trips to Panama (a border not far from our location), he purchased a keyboard for his home in Costa Rica. Luckily, he has been blessed in a friendship with a lovely gal and her husband from Canada who now reside in Costa Rica not far from our passionate pianist friend. In their home, they have an upright piano, properly tuned, and she is trained in the instrument. When they get together, their fingers fly over the keys playing duets. Our friend travels with his music sheets always in anticipation of sitting on a piano bench making beautiful sounds. 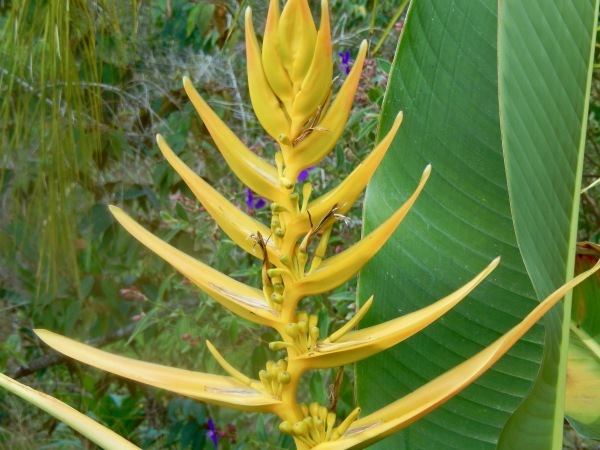 We spend time with an individual who has a “passion” for tropical plants. 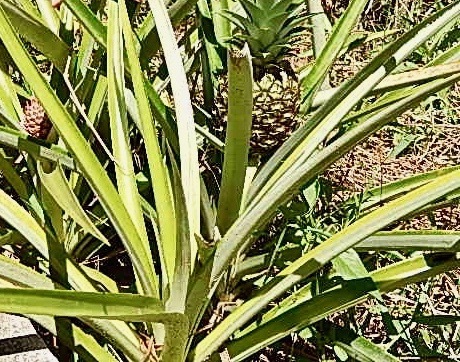 When this person is a passenger in your auto cruising along routes in Costa Rica, it turns into a tropical plant travelogue. The excitement of seeing particular plants are intense with this person. 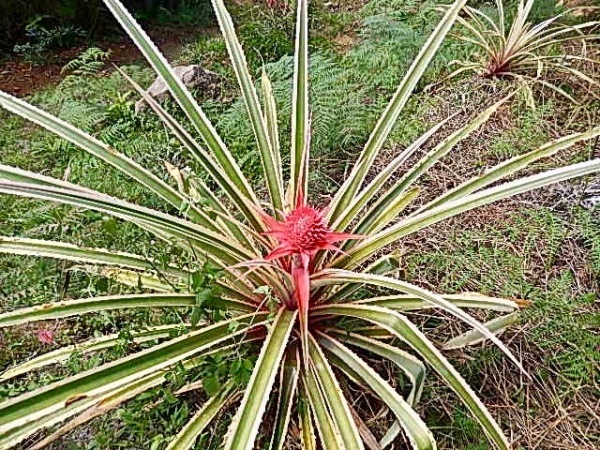 He is known to stop along a roadway to collect a clipping or two off a plant to take to his home to pot, nurture, and place in his landscape. He has tropical plant reference books stacked everywhere and has a real flair with those catchy scientific names. 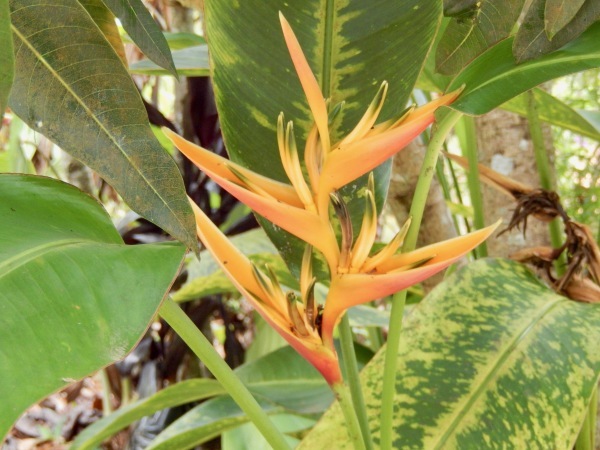 This fellow developed his love for tropical plants after visiting Florida when just a young lad. 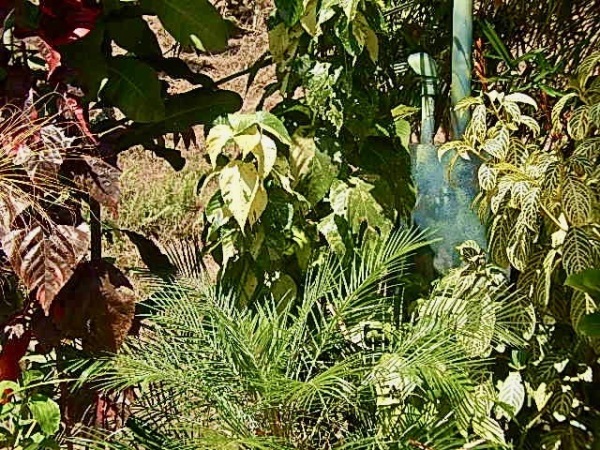 The landscape surrounding his home in Costa Rica is a testament to this passion. And how about the individual who became educated in biology and later discovered his true calling was teaching art. He is an artist and taught art at the college level. He sees art in the grill of a fence, the markings on a manhole cover, the scribblings on a wall, and in the shadings appearing on crumbling structures. 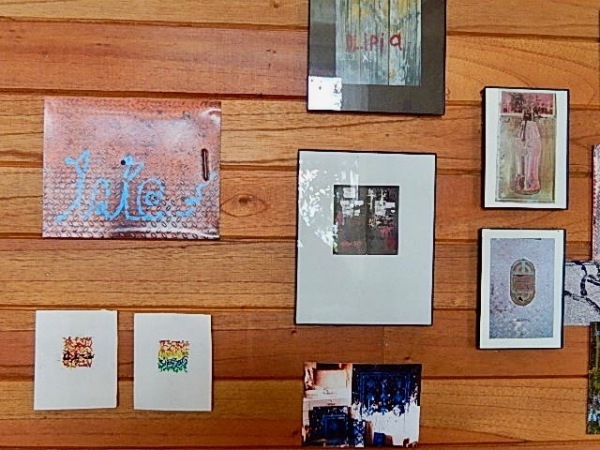 His knowledge in art is extensive and includes researching and writing about Germanic culture and folk art in northeastern Ohio. 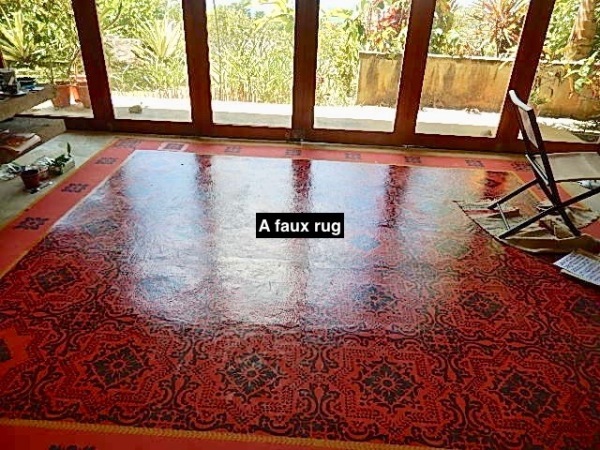 In his own dwelling in Costa Rica he stenciled on his cement floors faux rugs that are intricate. 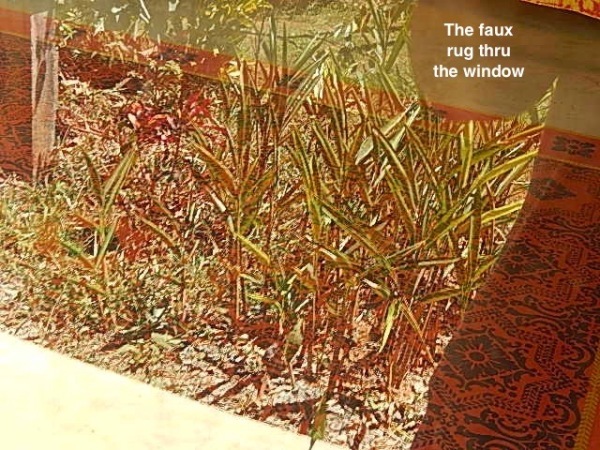 At first glance through the glass doors, the painted designs on the cement appear to be actual rugs. 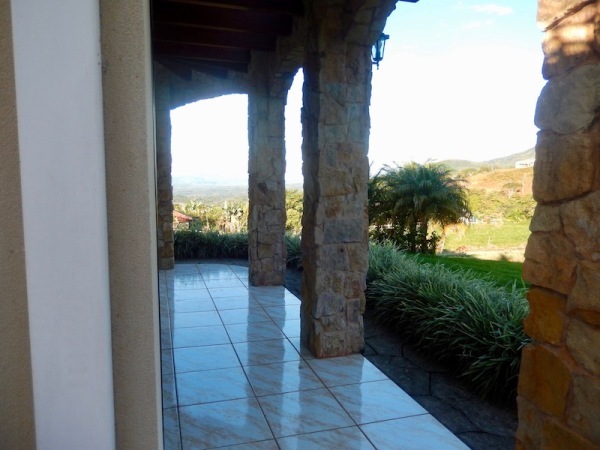 We are friends with an individual wintering in Costa Rica who is passionate about preserving historic buildings. It is one thing to admire buildings marked with decades of history; but salvaging a historical structure from destruction, places you in a different realm of appreciation altogether. That is exactly what this friend accomplished. An 1840's “house church,” logged on the national register of historic buildings, was scheduled for demolition. Our friend adamantly opposed its destruction. He negotiated with the landowners where the structure stood to purchase the building and remove it from the site. Once the deal was struck, our friend painstakingly dismantled the “house church,” and placed its bones in storage. These days he searches for the one person or organization who will prize it enough to find a suitable site where it can be reassembled and preserved. Would it surprise you to learn that all of those “passions” I've documented are reflected in one individual? Meet Stan Kaufman a 78 year old gentleman from Berlin, Oh. Over the past several years, Stan divides a 12 month period with 6 months at home in Ohio and the other 6 in our neck of the woods in Costa Rica. He is a fascinating fellow. 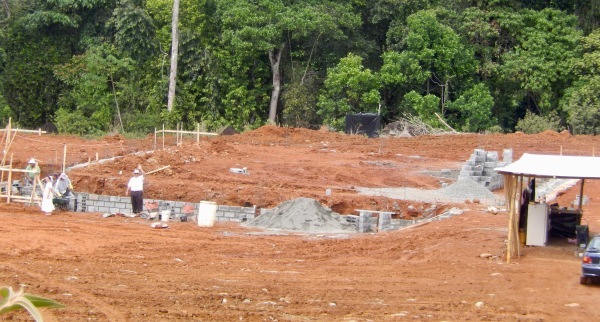 Several years ago, Stan purchased land from Nat Yoder in Costa Rica. 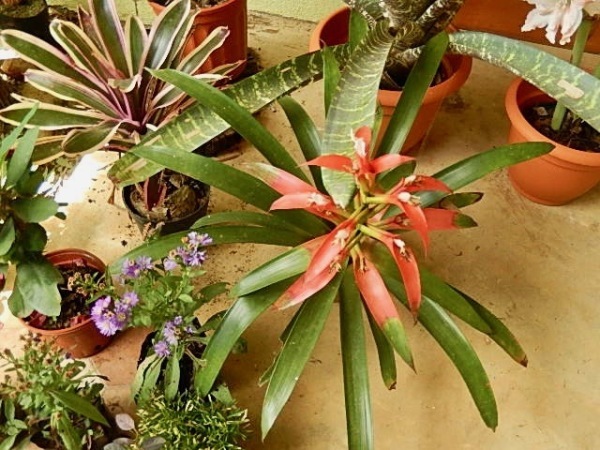 (Our regular readers will know Nat as our dearest friend in Costa Rica from whom we rent our Costa Rica lodging.) Stan first had a small one room cabin built with an expansive covered porch. Next, he oversaw the pouring of a L-shaped piscina (pool) at a higher elevation on the property. And, finally, he gave his Frank Lloyd Wright inspired design, by his own hand, to a builder. He watched his tropical dream become a reality. 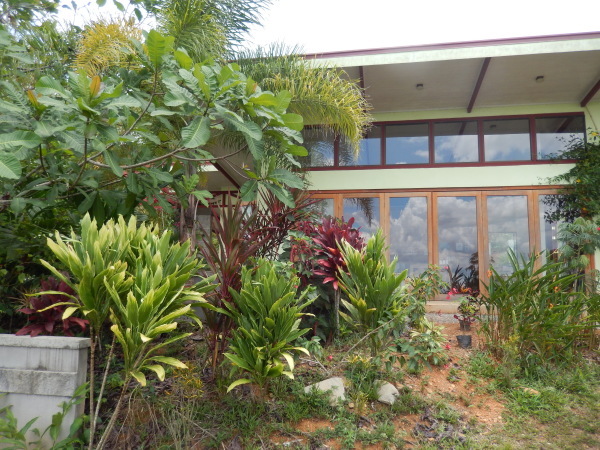 The new house, with bedroom sliders open to the pool terrace, sits atop a hill overlooking the cabin. 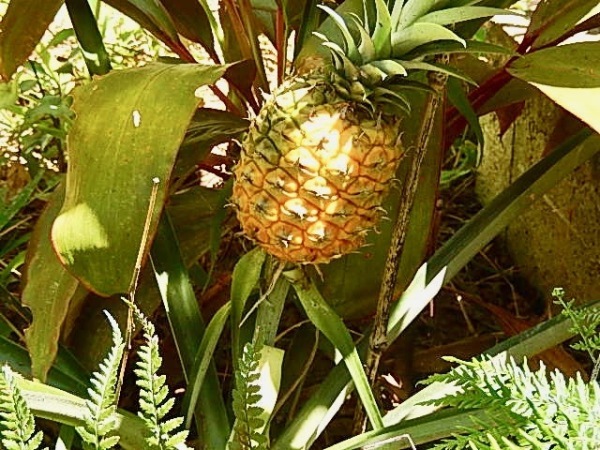 It is here where Stan lives his tropical dream. 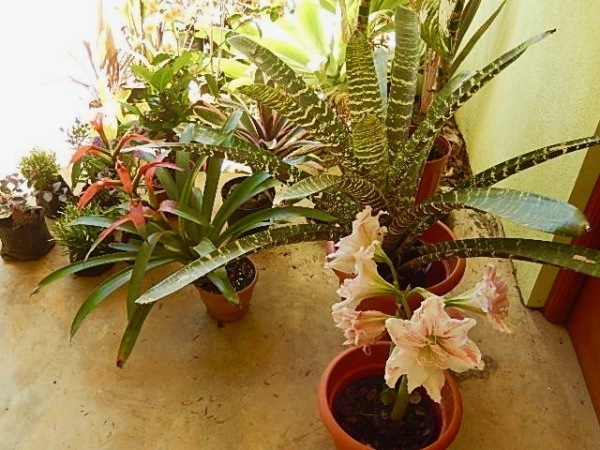 This is where he indulges his love of tropical plants. 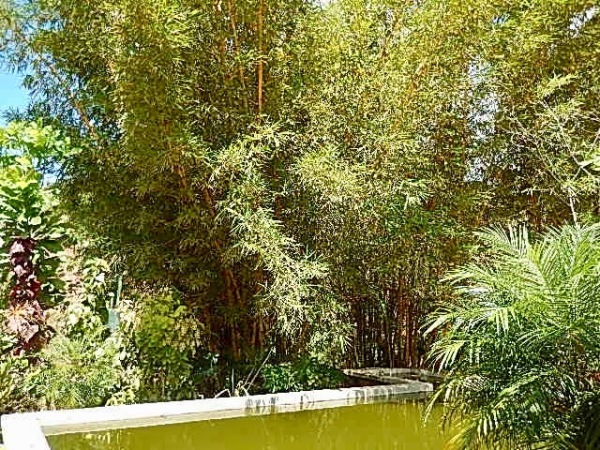 His landscape is lavished with beautiful bamboo, ginger, variety of palms, orchids, different heliconias, bougainvilleas, the passion flower, truly, it is an endless list and an extensive color palate. As I am writing it is Sunday, February 4, and the Ticos are expressing themselves at the ballot box. It is presidential election day for Costa Rica. A new president may be named after today's voting or more likely weeks later after results of a run-off. Regardless, thirteen candidates from various parties are vying for the electorate's affections; and, each hoping to garner 40% or more votes to be declared the winner. Four years ago during the last election we enjoyed watching the process. In Costa Rica you demonstrate your candidate preference by flying your preferred political party's flag. A more eye appealing way to show your candidate preference as opposed to annoying yard signs littering the landscape as in the United States. 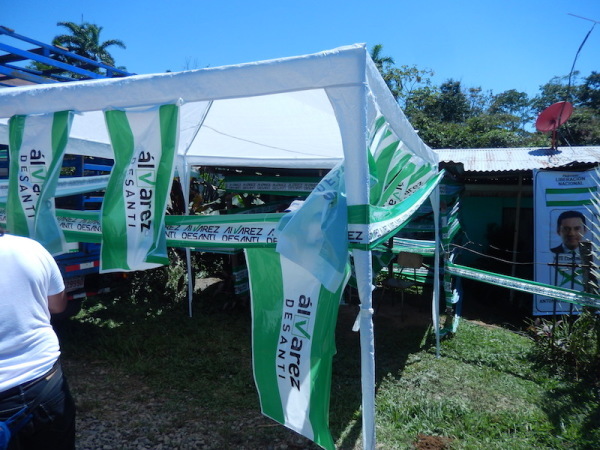 Every Costa Rican candidate and his representative party adopt a flag of two-four different color stripes. 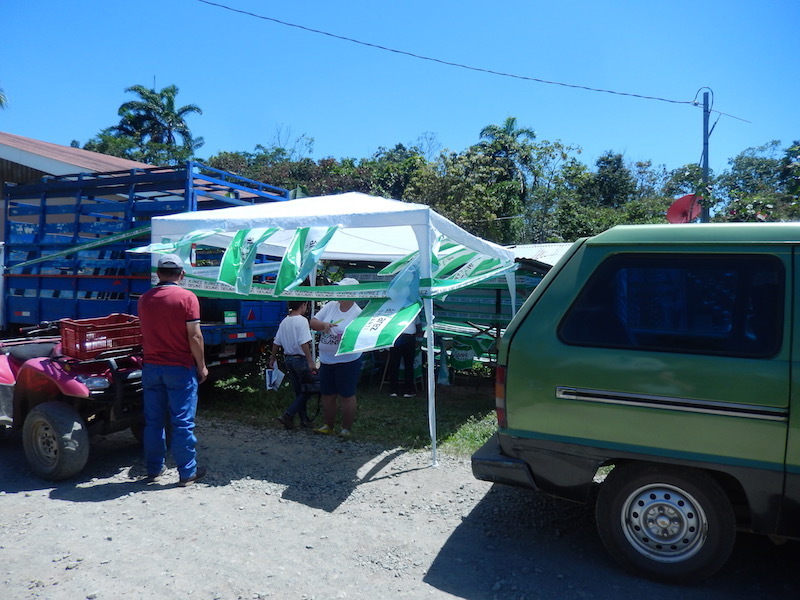 On election day outside polling places are various candidate representatives under portable pop-up canopies. 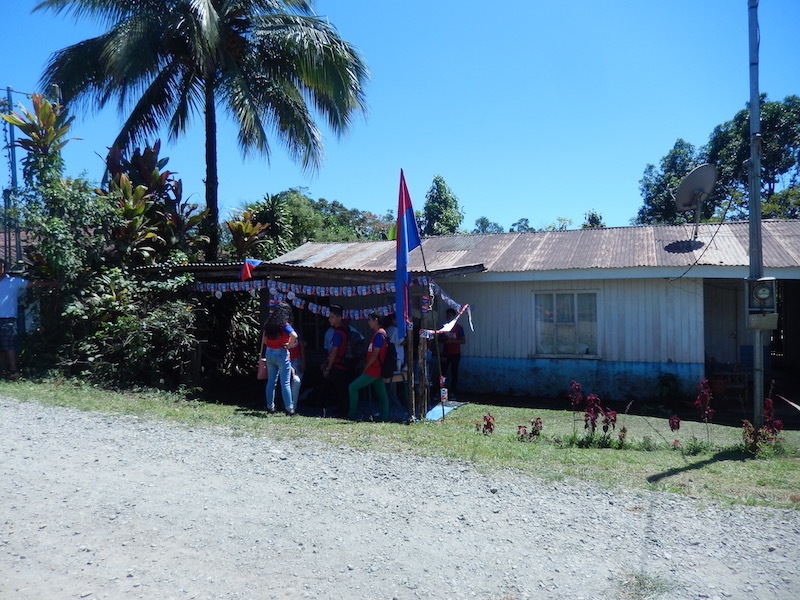 Voting Day brings a festive atmosphere seemingly without animosity. Trucks pull up flying flags for their candidate and delivering voters from remote neighborhoods up and down the mountain. At least, this is what we observe in Santiago, in the Canton of Perez Zeledon, Costa Rica. We can't speak about election day behavior in other parts of the country, but our impression is it is all positive and appropriate. This election year our Costa Rican friends informed us of a social schism in the country as a result of a recent ruling handed down by the Inter-American Court of Human Rights, of which Costa Rica is presently a member. Social conservatives in Costa Rica, where Roman Catholicism is considered the official national religion, oppose the ruling they consider an affront to traditional marriage. Indeed, candidate Fabricio Alvarado, who is pro traditional family, is one of four candidates heavily favored to be in a run-off. Subsequent to the ruling, his status among the public rose substantially when he said if elected President he would withdraw Costa Rica from the Inter-American Court of Human Rights as rejection of the recent ruling which has polarized the country. Last weekend the major town near us, Perez Zeledon, San Isidro del General, was the center of a peaceful protest by thousands supporting traditional marriage. Many neighbors in our particular location traveled to San Isidro to join in the march labeled as pro-traditional family. Besides this contentious social concern, Costa Rica is plagued by scandals of government corruption. Also, the country is beset with fiscal problems, a rising crime rate (although, low in comparison to other countries) and rising unemployment as well as a cost of living that continues to climb. These are the concerns of the voting population of Costa Rica. It is always interesting to be in another country observing the politics and the election process. Similarities abound across borders! We started writing this post on Sunday, February 4, but concluding it today, Monday, February 5. 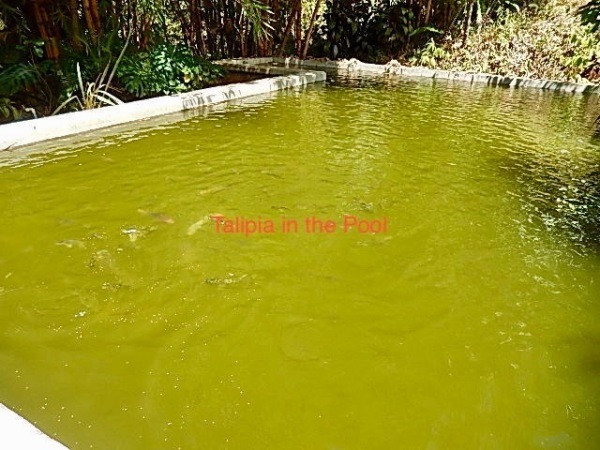 We can report there will be a run-off on Easter Sunday, April 1, between the red and yellow flag (Citizens Action Party) and the blue and yellow flag (National Restoration Party). Our Costa Rican friends are very happy and predict that Fabricio Alvarado, flying the blue and yellow, will be the next president. He was the top vote getter. However, Carlos Alvarado, flying the red and yellow of the Citizens Action Party, will be a formidable opponent. He hails from the current ruling party. By the way, the gentlemen are not related and both are young, Carlos is 38 and Fabricio is 43. Should make for an interesting eight weeks culminating on Easter Sunday. Besides sharing in our Costa Rican friends excitement, our take away for the USA: party flags instead of those stupid yard signs! If you must, a billboard or two; otherwise, USA candidates, please stop cluttering the environment with a myriad of those candidate signs. FLY YOUR COLORS! Pura Vida! 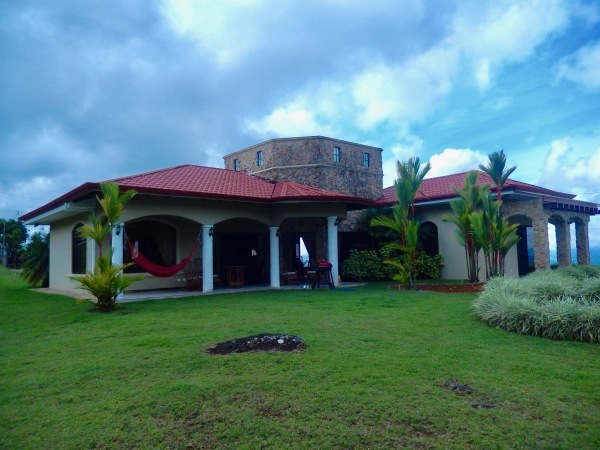 This is a reflection about our favorite spots at the casa in Costa Rica. The house has three covered terraces. One is right out the front door where two sturdy bamboo rocking chairs are positioned. It is fairly large, with a substantial roof which extends from the main house and is supported by concrete columns and pillars. That terrace provides a fine spot to relax in the early morning sipping coffee and watching the neighborhood come to life. Off the master bedroom there are two sliding doors both of which open to a corner terrace. Finally, on the backside of the house is a long terrace with extended roof from the house supported by 5 pillars. The back outdoor “room” has the grill, table, four bamboo rocking chairs, and a hammock. Until this year, there was also a lovely stone and tiled jacuzzi, but it has since been knocked out. Over the past few years, the hot tub developed leaks and resolution became a constant struggle for the landlord. It was wise to level it; although, the frogs clearly miss it. We haven't heard a ribbit or a croak in that locale since our arrival this year. Actually, we know other folks in the general area who have poured in-ground pools and they often are dealing with mysterious leaks. We speculate it has something to do with the earth shifting in these parts and/or all the rain during the rainy season. Regardless, we are fine without the hot tub. 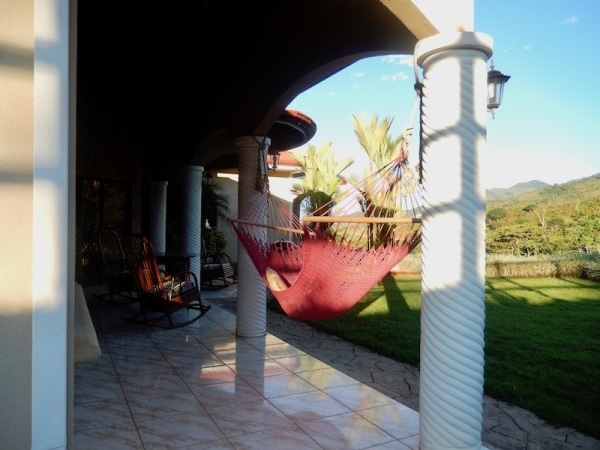 The views from the hammock and the other terraces are wonderful. At breaking daylight, the surrounding mountains are blanketed by thick clouds and other times just wisps of clouds. Then, quite suddenly, the lush mountainy hilltops are in full view against a startling blue sky. It is wonderful. At night, in the hammock, one gazes at glorious twinkling stars within a myriad of constellations. At night the view from the bedroom corner terrace displays twinkling lights throughout the valley beneath our perch. And, on some mornings, it seems as if we must appear like the mythical Scottish village of Brigadoon rising out of the heavy mist gathered in the valley. 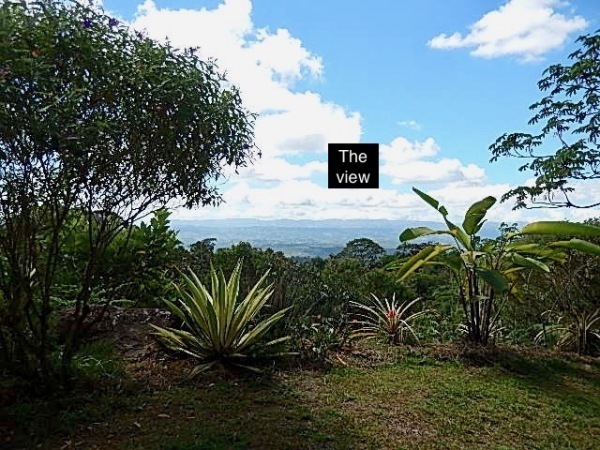 From the front terrace, we glimpse other areas of the valley sparkling with lights at night or ablaze by the day sun with glints of tin roofs in the distance. It is magical. I love the hammock. I love the rhythm of hammock swinging. 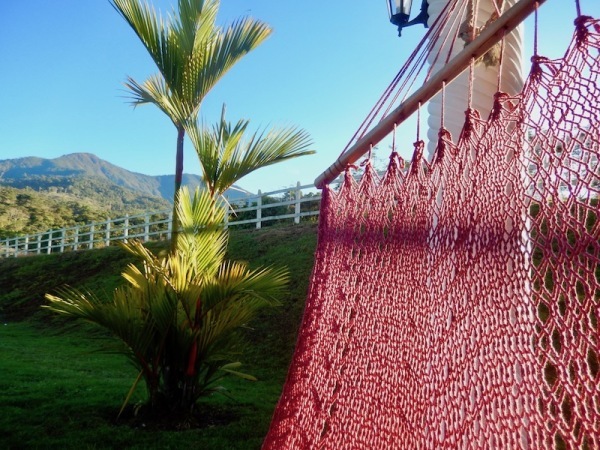 My rocking is accompanied by creaking of the ropes around the two pillars supporting the hammock. It is not painful creaking, because, of course, I am as light as a feather. (Yes, I am!) It is just sort of a gentle humming creaking. White noise that I find soothing. I often use it more as a hammock chair rather then stretching out full-length on it in lounge fashion. Generally, one leg hangs loose so I can occasionally give the sling gentle encouragement to sway. There are photos confirming I manage to rock myself into a blissful sleep. Trust me, photo of old lady, asleep in hammock, in full triple chin display, possibly drooling and snoring, will never see the light of day. Nor will the lovely photo of me relaxed as sleeping beauty waiting for Prince Charming. Lately I've been in the hammock quite a bit. Since last Friday our car has been at the mechanics for a scheduled tune-up. We are also having some seat covering upgrade as the upholstery is degrading and duct-taping is no longer efficient. The auto tune-up is an annual event for us. One, it is common sense; and two, in Costa Rica a vehicle must pass an annual inspection called Riteve. It is a thorough inspection and we are happy to participate. 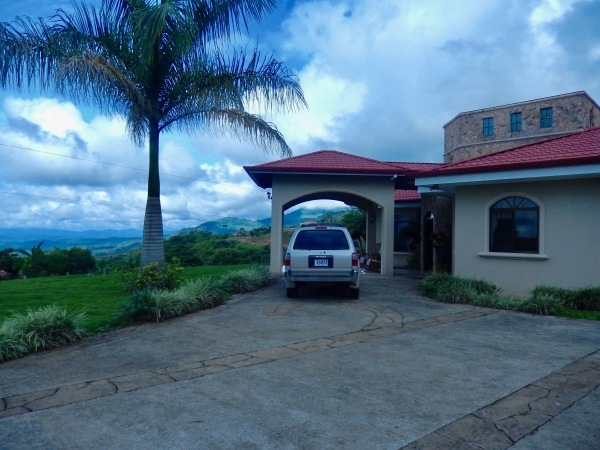 Given the topography of Costa Rica, you want a certified reliable vehicle. The mechanic we use handles the Riteve event for us. Today is Tuesday, we are missing our wheels and hope to hear soon that our car is ready. Meantime, Bob and I are keeping occupied in and around the casa. Besides hammock time, I've been performing some research for a presentation Bob and I are preparing for use when we return to Michigan. However, to break the time up, I tend to deviate to other interests non-related to the assigned task. I check out local news from home and I like to remind myself of upcoming events of note. I can share a bit of good news. On February 2 the weather atmosphere in Punxsutawney PA is forecasted to be shrouded in low clouds. That means at Gobbler's Knob, when the ground hog takes a peek above ground, a shadow SHOULD NOT be seen. 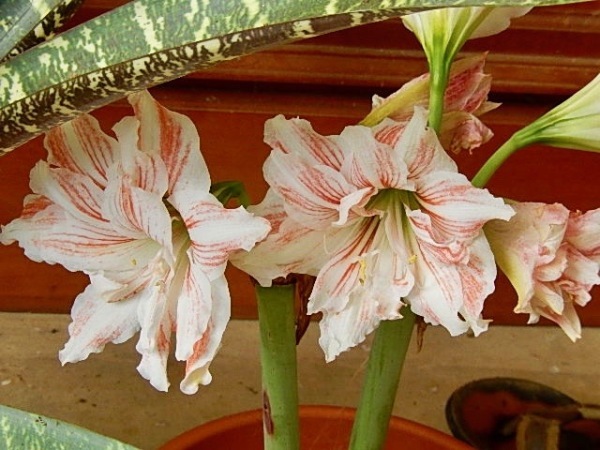 According to tradition, that signifies an early arrival for Spring. I don't advise checking to see how reliable the Ground Hog prediction has proven to be historically. I'm not into bursting anyone's bubble. This grand event dates to 1887. There is a total lunar eclipse beginning January 31. A spectacular deal because it is during a Blue Moon period. Also, February 2 is National Wear Red Day bringing attention and awareness to heart disease in women. Check out the American Heart Organization website or GoRed for women. Lots to ponder while I am swaying in the Hammock! A perfect metaphor for my life would be. “someone trying to stand up in a hammock.” Do you ever feel that way? 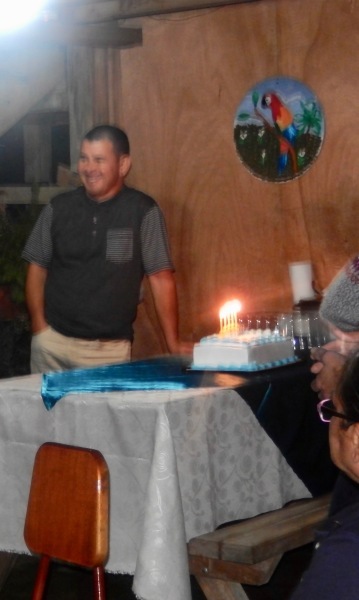 One of our BFF's in Costa Rica named Bel celebrated his 54th birthday on January 10. Our regular readers met Bel and wife Xenia in previous years' postings. The couple invited us and our neighbor Stan to their cabina (cabin) up our mountain road for the January 10 Wednesday evening birthday celebration. You know how well you are loved when folks will travel exceedingly rough terrain to celebrate your birth. The route to Bel's and Xenia's cabina is a shaker, rattler, and roller. Mountain bike enthusiasts would find it challenging and thrilling! I find it scary and intimidating. However, over the years Bob has become a master driver in Costa Rica -- a major accomplishment and comfort for me. Stan from Ohio, who resides 6 months in Costa Rica, joined us. 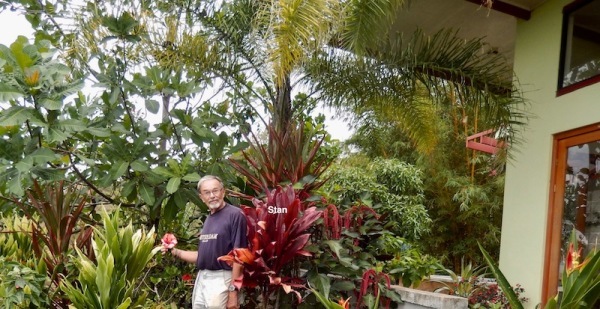 Stan has a casa (house) not far from us that he is developing into a tropical plant paradise, one of his many passions. He divides a 12 month period with 6 months in Berlin OH and 6 months in Costa Rica. More about Stan in another posting. You will enjoy meeting him. Bob, Stan, and I were among the first to arrive. Arriving well-ahead of others worked out great for me because earlier in the day I had written in Spanish questions to ask Bel's spouse, who is not at all fluent in English. Due to my limited memorized Spanish vocabulary, remedial at best, I resort to prepared notes. Me gusta practicar mi español verbalmente. Typically, when Bob and I communicate directly with Xenia it turns into a messy, clumsy attempt. Fortunately, Bel has a fairly good command of the English language and is very helpful when we chat with them. However, when Xenia is with us without Bel, we often rely on a translation program on our laptop computer. We type our comments and queries in English and the program magically translates to Spanish. We attempt to verbalize the translation, but it helps Xenia to read what we actually meant to say. Bob and I overuse the phrase más despacio (slower), but it is essential. Our Spanish speaking friends verbalize at such rapidity our heads spin. Oddly, they note the same predicament when we English speaking folks converse in our native tongue. That is so interesting to us. Back at the birthday party, I fired up my engaging conversant Spanish and chatted with Xenia. My delivery was not A-grade and did provide some entertainment for other guests. I am improving but at a snail's pace so maybe I'm a C-. I'm determined and have a teaching program with me this year and a goal to acquire a better command of the Spanish language. Regardless, Xenia and I had a good exchange and some laughs. Xenia, with the help of family, prepared a birthday feast! We enjoyed a delicious meal and later a yummy birthday cake. 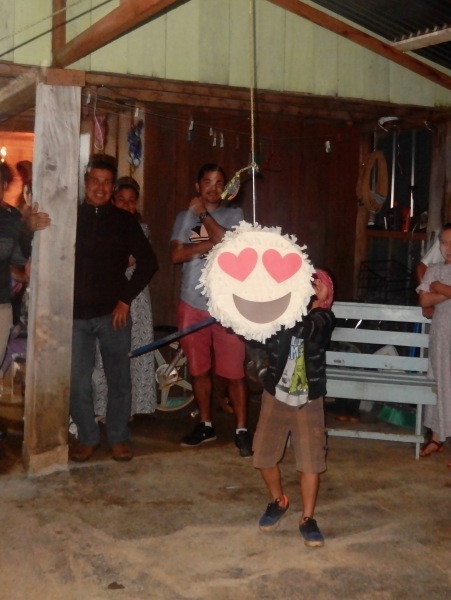 Lots of happy conversations and laughter and the celebration was topped off with the younger attendees swinging at a piñata. The fiesta concluded by 8:30 pm. The children are on school break, but Costa Ricans are early risers no matter what and late night parties are rare. "An Englishman, a Frenchman, a Spaniard, and a German are all watching a dolphin do some excellent tricks. The dolphin notices that the four gentlemen have a very poor view, so he jumps higher out of the water and calls out, 'Can you all see me now?' And they respond: 'Yes.' 'Oui.' 'Sí.' 'Ja.'" Our return to the states from Costa Rica in 2017 was loaded with turmoil. However, there was a silver lining because God placed angels along the way. We are compelled to share our story. Last year we departed Costa Rica on March 30. The San Jose International Airport is 4 hours from our winter location via a circuitous route. Typically, we spend at least one night in San Jose prior to the next day's arrival at SJO terminal. In 2017, we hired a young American man (spouse to a local Costa Rican) to drive us from our winter residence to our hotel in San Jose. Worth it to us to travel by auto, rather than bus, and we knew he would welcome a little income boost. At the last minute our young friend learned he had a driver's license problem. Heretofore, officials assured him his license was valid; however, days later they decided it was not. 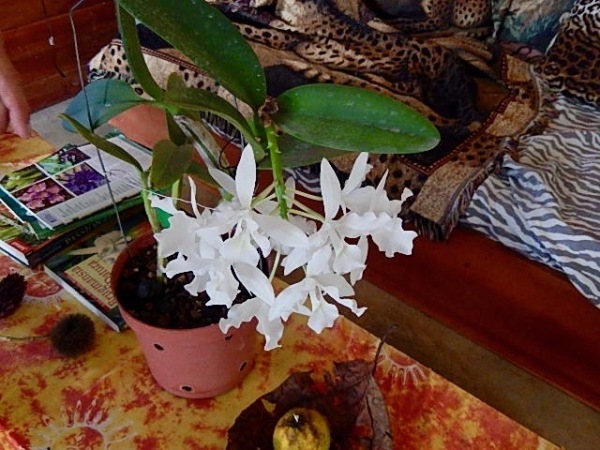 (So it goes in Costa Rica, consistency is not the rule of law!) For a myriad of reasons, our friend had to get it resolved quickly or they would take his car's plates. Result: He jumped through hoops the remainder of the day. With our back-up plan in place, we learn our perspective chauffeur was successful in re-establishing his authority to drive in Costa Rica, but it did involve a border run to Panama. Made for a long day, but he needed to get this resolved. It's a complicated business. We give the bus tickets to someone who could use them. Everybody is happy as we set off over the Mountain of Death with our friend at the wheel. After the last few days, we enjoyed a fairly uneventful drive to San Jose. Driving through the quiet streets, we heard an odd noise, like a hissing sound. Taxi driver thought he had a flat. He checked, no flat. We continued until a driver flagged us down on the expressway. That driver pulled off to one side of the expressway and our taxi driver pulled off to the other side. (You have to have driven in Costa Rica to appreciate that.) The driver of the other car yells to our driver (in Spanish) that the taxi trunk is open. Our driver closes the trunk and assures Bob everything is copacetic. Unloading at the airport, we discover that somewhere en route Bob's carry-on disappeared. Among other items, the carry-on contained Bob's medications, our Mac laptop, Bob's Samsung tablet, and our Apple TV hook-up. Oh dear! Not copacetic! Bob is very upset and I am feeling a bit distraught. (Bob here: “upset” is really not the correct terminology, but for the sake of keeping it family friendly we'll stay with “upset”) As Bob assigns me the remaining luggage along with the task of checking in at the airport, I say a prayer to calm myself. Meanwhile, Bob jumps in the taxi with the driver to retrace the taxi route in search of the carry-on. I ponder a particular concern: If Bob is quite delayed, as he scours the San Jose roads for his carry-on, should I continue on this flight without him? He left so quickly and abruptly with the driver that we did not discuss options. It was a crazy blur. Hectic and rash behavior. I ask the lovely Rose if I may wait at her station a bit in hopes my husband will make it in time. Rose has everything well in hand for me and allows that I should wait for Bob by her counter. Within twenty minutes, my visibly agitated husband appears. His carry-on is nowhere to be seen. Rose checks Bob in and tells us we should file a report with the on-site police station. We are concerned about time. Rose assures us not to worry and walks to the police office with us to help file the report. With Ms. Canales assistance, the detailed report is filed. We thank everyone profusely and hustle through security and scurry to our gate. As we are boarding our aircraft, Rose suddenly appears. She rushed to the gate to inform us she contacted the Taxi Cooperative and our hotel. The hotel security camera shows that the taxi did indeed leave with the trunk not securely shut. The Taxi Cooperative informs her that, with proof, they and the driver are responsible for the loss. Rose went above and beyond normal expectations. We did not ask for this effort on our behalf, but she was inspired to do what she could for us. Subsequently, we have commended her to Avianca She is a jewel, but in our experience, Avianca employees are all about customer service. Free luggage, excellent food, free drinks of all sorts, and cheerful, helpful personnel. Thus far, they have not disappointed. Settled and secured in our seats, we are ready for take-off to San Salvador and then onto Chicago. Bob continues to be visibly upset. I pat Bob assuring him we will be okay (Little Head Voice is singing up a storm) and add several other encouraging words. Our seatmate, another lovely young woman, mistakes our exchanges as an indication that Bob is afraid to fly! He certainly looks traumatized. She reaches over and pats him as well and assures him that she flies all the time all over the world and it is a very safe means of travel. He will be fine. Suddenly, Bob relaxes and chuckles. We needed this lighter moment. He informs her he loves to fly, is a recreational pilot and built his own plane. (Not delusional, all true.) We then explain our angst to our seatmate. Her friendliness and patter went a long way to put us in better humor. God helps modify our perspective in many ways. As we wing our way back to the states, we discuss actions that we will need to perform immediately once at home. The loss will make our first few days back in Rockford difficult as we sort it all out. New meds (none of which are inexpensive), changing a multitude of passwords, lost tax worksheets on the laptop, among other unsecured important info documents. To boot, we became lazy and had not performed a back-up in several months. A mess, to be sure, but a mistake we will not repeat. I'll post Part Two of this travel saga in a few more days. As I mentioned, we arranged for a one way car rental with Enterprise from Chicago to our home in Michigan. It was a Thursday and we did not want to impose on any family to drive to O'Hare to collect us. In the past, we arrived on a week-end day and family was happy to make the drive to Chicago. Picture this: tired, older couple Bob and Peggy standing outside O'Hare with two large bags (50 pounds each) and ONE carry-on and back pack. Bob is shivering in short sleeves (remember, no jacket!). We eagerly anticipate the Enterprise Shuttle Bus arrival momentarily. Well, at least reasonably soon! Thirty minutes later still waiting as several car rental agency shuttles have passed our curbside twice, the Enterprise shuttle magically appears. We arrive at Enterprise office to claim our reservation. A congenial young man informs us that Enterprise never allows for a one way rental on a debit card. Hmmmm! When I used the card to reserve, there was no pop-up with that particular caveat. We have a bonafide reservation. He is a nice fellow and wants to help the bedraggled old folks. However, his management will not bend rules. We either produce an interest-generating credit card or forget about leaving for Michigan in an Enterprise rental car! We are returned to the terminal, where the temps have dropped significantly and the rain is in pelting mode. We resort to flagging down all the other rental car agency shuttles to ask whether they can help. Alas, they all share the same debit card one-way rental policy. Hmmmm! How to get to Michigan and our home? Perhaps we should book the first available flight to Ford International in Grand Rapids, MI. On the other hand, it is the beginning of Spring break, the airfare will be ridiculous, so we consider other options. I should mention, by now, Bob and I are not using the nicest of tones with one another. Things are a bit testy and at least ONE of us is extremely ornery. As we are wandering about engaged in long-time married couple combative discourse with luggage in tow, we are spotted by the lady managing the "Welcome to Chicago Help Desk." We were prime candidates for the well-informed lass to test her skill-set. She knows if she aids us, she is a shoo-in for EMPLOYEE OF THE MONTH! She bravely motions us to approach and advises us that we could take the train from Chicago to Grand Rapids, MI. However, it is getting late and the train is scheduled to depart at 6:30 p.m. We will have to act with haste. Helpful lady provides the Amtrak contact phone numbers. What followed were several frustrating cellphone rounds with Amtrak. You know the routine: press the phone number into cellphone; connect and listen to the usual recorded voice instructing the right number to select for your particular need; punch the right button (hopefully, on the first try); the call drops; repeat steps 1-3; reach a “live” person without personality, for assistance. We go through this process at least three times, before we are reduced to blathering red-faced maniacs. And why, you ask? Because either Amtrak could help us, but would not take our baggage; or we connected to the wrong department; or the train was fully booked, and so on. It was like a dark comedy in the twilight zone. Just as Bob prepared to throw the cellphone against the wall and then, just to be sure he made his point, stomp it to smithereens, I grabbed the device to make one last try. By now, at least TWO of us are extremely ornery not counting various Amtrak personnel we had chatted up! I take a deep breath, dig deep to activate my most charming phone personality, and trigger redial. A miracle occurs and Bob and I finally secure passage, luggage and all, on the train bound for Grand Rapids Michigan, our home turf. We return to the friendly lady at Help Desk and ask how to proceed with haste from O'Hare Int'l Airport to downtown Chicago? It is 4:45 p.m. and the train departs the station at 6:30 p.m. She informs that a taxi ride in rush hour will not get us there in time. She suggests the Transit Train. She instructs us to walk through an intricate tunnel system of convenience in the airport, to reach the BLUE LINE CTA RAPID TRANSIT TRAIN to enjoy a 45 minute ride ending within two blocks of the train station. How absolutely marvelous for us! We begin the tunnel trek looking like your typical walk-ons for the WALKING DEAD series. With some intermittent guidance from others, we make it to the BLUE LINE ticket machines and boarding area. (Why, oh why, do we always have to deal with machines? None are the same and all have little quirks to exasperate. My idea of user friendly is apparently non-achievable.) We clumsily manipulate the machine, get our Blue Line tickets and board our train -- again with assistance from others feeling sorry for the older travel-weary couple. We were a sight: wet, shivering, glazed-eyes, exhausted, a couple of old pack mules; but, we are on our way to downtown Chicago! As you read, we have boarded the BLUE Line to transport us from O'Hare Int'l Airport to downtown Chicago. What could possibly go wrong? Best just to remember, what went right! During our 45 minute transit ride, I contact our son-in-law Jim. I humorously explain all that has transpired. I'm on a roll. I'm on a transit train, I'm exhausted, and my Funny Bone has gained the upper hand! It's comedy night on the Blue Line. At the conclusion of my act, Jim agrees to collect us at the train depot in Grand Rapids. God bless the son-in-law. With good fortune, we would be home by midnight. My vocals are still set at high volume not yet toned down following intense conversations with Bob at O'Hare. Before I conclude my call with Jim, I notice several transit passengers following my phone conversation. (Was that why Bob kept elbowing me? He can be such a pain!) Once the call ends, a sweet transit traveler leans over and expresses concern for us and wants to be sure we find our way to Union Station. (Apparently my humor raised some alarm bells!) She is adorable! She has on her phone a map she reviews with us detailing what we should do once off the transit. She will be getting off two stops prior to ours, but wants to be sure we have no problem getting to the train station. Another angel sent to give us aid and encouragement! We reach our destination. I with my carry-on and back pack and Bob with two 50 lb pieces of luggage. We need only navigate SEVERAL steep, narrow staircases to reach the street. (One day I will return to find out whether there was an elevator to street level! However, at that moment, we were operating as prime cast members for THE WALKING DEAD.). As we climb, we are suddenly accosted by several men who want to carry our luggage. Some are rude, rough and insistent. One pushy fellow grabs my carry-on and takes off. They want money and/or our subway ticket stubs which, I was told later, they will resale to scam folks. Meanwhile, Bob continues to climb as I chase after the guy with my carry-on. Suddently, a rather commanding uniformed woman appears. She boldly confronts the man I am chasing and orders him to return my bag! Bob finally reaches street-level and looks exhaustingly volcanic. The bag-grabbing guy is in the imposing lady's face, nose to nose, crudely insulting her. She stands her ground, telling him to back off and leave us alone. Right then a gent steps between them and guides the obnoxious individual away from the lady and us and the gathering horde. I was grateful Bob had his hands full of luggage, because he was primed to explode with adrenaline. Would not have been pretty or productive let alone wise! The kind lady swoops us up and states she assumes we are heading to Union Station. She takes us under her wing. What do you think? Turns out, she is the conductor on our very train. She cares for us from that point forward. Checks us in, introduces us to the red caps, places us on a tram, and tells the red caps to take care of us! She informs them to stand-by as she will contact them when to bring us and bags to a specific coach for boarding. We were the first to board and our luggage was secure. The conductor and the red caps were uniformed angels. Of course, this story ends with us not arriving in Grand Rapids MI until 1:30 a.m. instead of 11:30 p.m. There were a few delays along the route. That's okay. At some point, I collapsed in a bundle stretched across three seats. Bob remained vigilant (still working off the sudden adrenaline rush) and rescued people from one of the on board washrooms near us whose door kept getting stuck. Meantime, the lovely conductor and her companion conductor were back and forth checking on us. Through the marvel of technology, Jim tracked the train's arrival. After we disembarked, he was there to collect us. God bless him. Once home, we promptly replaced the lost items including Bob's meds. We changed passwords of all sorts, notified our financial institutions, etc. and activated the new debit cards secure in the knowledge the others were defunct. To date, we dutifully protect documents to the level of being paranoid and perform regular back-ups on our laptops. We exchanged many emails with Avianca's Rose Canales. No clue what may have happened to Bob's carry-on. It is gone and that's that. No compensation from the Taxi Cooperative. I lost my enthusiasm and patience for pursuing. We humans never stop learning. Bob and I learned a lot in 2017. Keep your carry-on close; pay greater heed to the Little Voices in the head! (Hope, they can learn to carry a tune and expand their repertoire! ); no one-way car rentals with a debit card; take the Chicago transit from O'Hare to Union Station, but carry a taser; kindness of strangers is not a thing of the past; marital bliss is not a guarantee (depending on circumstances); a sense of humor is an asset; tech-savvy is a good thing to be in this era, stop fighting it; and, what we really always knew, but reaffirmed: God is a top notch tour guide and problem-solver. Life is an adventure! I conclude by sharing a picture of us later in 2017. We took a roadtrip with close friends to Maine in October 2017. It was a very good trip involving only our auto and Maine ferries. There are Maine tales to tell; but today is January 16, 2018, and I say RIP-2017. I want to concentrate on 2018 adventures. Stay tuned. Hola from the Townsend's winter haven in Costa Rica. We are settled and ready to begin the 2018 blog from our headquarters in Costa Rica. The first post is always a bit off beat as we get back into the writing routine. You have to start somewhere, so here it goes. We opted for a different start to our sojourn and I am glad to report it worked out fabulously. No, we did not come via camel. In past years, our journeys to Costa Rica began by auto travelling to Dulles in DC, Metro Wayne County in Detroit, or O'Hare in Chicago. Dulles worked great, as we would leave our car with a close family friend in Haymarket, Virginia . After enjoying a few days visiting, we would depart from Dulles a short distance from her home. In other years, a family member would drive us from home in Rockford, MI, either to Detroit Metro Wayne County Airport or Chicago O'Hare. If not visiting our friend in Virginia, the best for us is departing from O'Hare and using our favorite airline Avianca. Ohhh.....we love Avianca! Excellent personnel, airfare includes free tasty meals, free beverages non-alcoholic AND alcoholic, and baggage (up to a point, obviously). The problem with O'Hare is the dreadful traffic encountered driving from Michigan. After our horrible misadventure returning last year from Costa Rica into O'Hare and onward to our home in Rockford, MI, I decided to do some conveyance research. Heads up, the next post will be the story of last year's return trip to the states. After the fact, quite humorous; living the experience, not so funny. Some of you already know the story, but retelling will be fun, so stay tuned for that post. We learned there is a shuttle bus service from northern points in Indiana to O'Hare Int'l with Michigan City, IN, on their route. Michigan City is a little over a 2 hour easy drive from our home. After all these years, we discovered the very reasonable SuperSaver Airport Shuttle. Our son-in-law Jim drove through Michigan blizzard conditions to deliver us safe and sound to Michigan City. Thanks to Jim for once again being our chauffeur. The bus was at its designated stop and two hours later we were checking in at O'Hare. This bus shuttle service completes 17 runs from O'Hare beginning at 4:50 a.m. up to 10:50 p.m. Works for us! Our flights were on-time, arriving in San Salvador as scheduled and in San Jose, Costa Rica, precisely on time, 9:30 p.m. central. We breezed through immigration, bags were on the carousel in short order and our driver was waiting for us to deliver us to our overnight accommodations. We were settled in our hotel room by 11 p.m. and, as in years past, able to watch the New Year fireworks from our room. The next morning Bob rose early and prepared himself for the day. I, on the other hand, continued sleeping soundly. Bob left for the restaurant/lounge area to read and sip coffee. As is custom, he would wait for me before enjoying the sumptuous breakfast buffet. When I finally woke from my slumber, I was in a sleep stupor - very foggy. With bleary, heavy eyes, I navigated my way in the darkened room to the lavatory. Shuffling my way to the washroom, I sensed the room to be bigger than I remembered. I reached the door to gain entry to the lavatory, but it was locked. I rattled the door in agitation thinking Bob accidentally locked us out of the bathroom. In a short moment, the fog lifts and my eyes open wide with the realization that my beloved left our hotel room door wide open and I was in the hotel hallway attempting entry to another's room! Believe me when I tell you, I was not exactly primed for public viewing. I made a hasty retreat to our room and do not know whether I was observed by anyone. Oh so many questions. Why did Bob not close the door to our room? Is this what it is like traveling with an old guy? Is this a good omen or a bad omen for what life will be like in 2018? Is it to be the year of "PRANK PEG," or the year of "OUR DOOR IS ALWAYS OPEN, COME ONE, COME ALL!" ? How long had I'd been sleeping on display for anyone who cared to pop their head into the room? After making myself presentable and my admonition for Bob well-rehearsed, I met my traveling companion to engage in a game of "No, I didn't! Yes, You did!" Hands down, I am the champion. Now, I am a fair-minded person, so when Bob said he intended to prepare a rebuttal for me to include in this first post, I acquiesced. 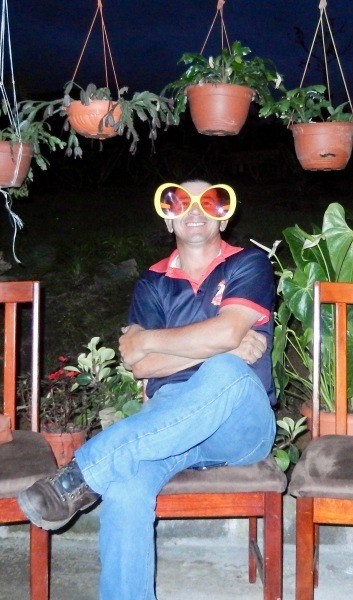 However, here is an essential preface by me: Bob's 2018 stay in Costa Rica might not be as much fun as he hoped. I'm just saying! Hola, Bob here: Regarding our arrival in CR and Peg waking up to a wide open hotel room door into the hallway, a response from me is in order. Let me assure everyone that my open door policy does not apply to hotel rooms nor am I about to launch a year of Pranking Peg. Since Peggy suggested she was in no condition for public viewing, you may imagine Fredrick's of Hollywood (not) or maybe even those red flannel long johns with the drop back side that's only buttoned with one of the top buttons. Such display in flannels reveals a croissant shaped window into that which is beyond the flannel. Maybe we should call it “Peggy's of Rockford. Guaranteed, Rock Bottom Prices.“ Hmmm....I'm thinking of opening a store. You all are invited to the “Grand Opening” (pun intended). Please feel free to contribute advertising slogans. Best slogans may receive a free pair of red flannels. My original thought was for Peggy to model PJ's for billboard advertising. I envisioned something like the old billboard Coppertone ads; only as Peg looked over her shoulder she would have a “come hither” look in her eye. I suggested this to Peg and she shot me a look which prompted me to suggest she might need more practice with the “come hither.” Now I wish she would stop practicing! Ok. Back to my rebuttal of events. Now I ask you, who would you believe? A highly functioning human being or a person in a self-confessed sleeping stupor? Do you believe a person of strict routine , focused like a laser beam? Or a bleary eyed, foggy minded individual, not presentable for public viewing, who actually walked out into a hotel hallway and attempted to enter a stranger's room to use the bathroom? I mean really!!! (Excuse me! Peggy here: Highly functioning, focused like a laser beam? In what realm, I wonder? Okay, so it was funny, but somewhat alarming. Suffice to say, we enjoyed our morning repast and a hotly contested game of "No, I didn't! Yes, you did!" After which, Bob and I, game champion, jumped in our car and set off on our Pacific Coast route to San Isidro de General and onto Santiago and our home away from home.